Newegg's Early Black Friday sale round 2 is on with deals on an Intel Core i5-8600K, Acer monitors, G.Skill RAM, and more. There’s still two weeks to go until the official sales bonanza, but the early Black Friday deals keep on coming. Newegg just released its Early Black Friday sale round 2Remove non-product link, which lasts until just before midnight on Sunday evening Pacific time. The retailer says that the prices on these early Black Friday sales won’t be beat in November. In other words, don’t hold out for lower prices two Fridays from now. Newegg’s current sale offers deals on motherboards, RAM, hard drives, processors, monitors, and pretty much anything else a PC fanatic needs. Here are some of our favorite picks. Intel’s six-core Core i5-8600K is on sale for $240Remove non-product link. That’s about $20 off the usual price and not an uncommon sale price. It’s not the best we’ve seen–that’s $215–but it’s still a great price for a killer gaming CPU with solid productivity chops. The downside? This processor doesn’t come with a CPU cooler. There are two monitors we’d like to draw your attention to. The first is the Acer KA251Q, a 24.5-inch 1080p monitor for $90Remove non-product link with coupon code EMCEEPY39. It features a 5 millisecond response time and 178-degree viewing angles, but no fancy extra features. That’s a great price for a 1080p display though. If you need something bigger and more pixel-packed, the Acer ET322QK 4K display is $300Remove non-product link with checkout code EMCEEPY65. In additional to that delicious resolution, this display comes with AMD FreeSync support for buttery-smooth gaming and a pair of 2-watt speakers. The MSRP on the Acer 4K is $500. Finally, we found a very aggressive- looking 16GB G.Skill Flare X DDR4 2133 kit (2x8GB) for $100Remove non-product link. That’s a solid price for RAM these days, and if you’re sticking them in a case without a glass panel, the look won’t bug you. These deals are just the tip of the iceberg though. 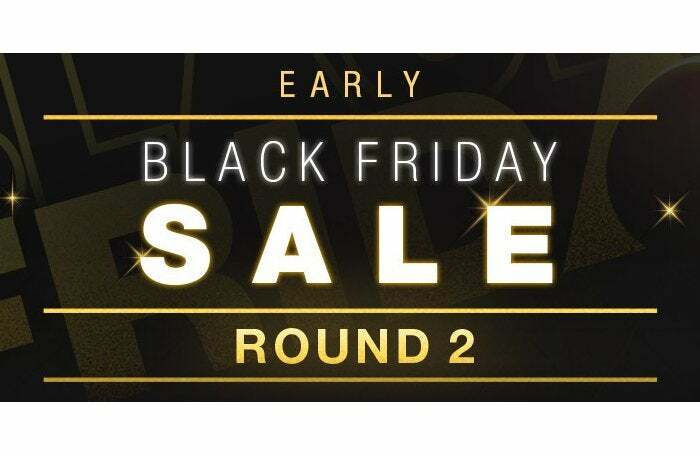 Be sure to visit Newegg’s Early Black Friday Round 2 saleRemove non-product link to see all the juicy PC deals on offer through Sunday. This story, "Get great PC upgrades for cheap in Newegg's second Early Black Friday blowout" was originally published by PCWorld.